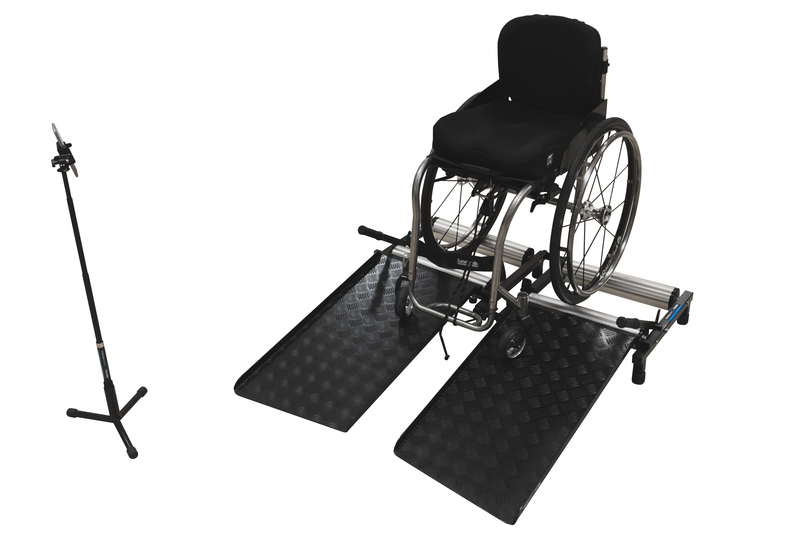 Designed specifically for wheelchair users the Invictus Active Trainer is the ideal solution to improve your fitness, balance and technique. Suitable for everyone – from weight loss, building muscle strength through to improving balance and technique – also used by athletes for high intensity sport workouts and as a key training aid to increase speed around basketball court, across a tennis court or around a race track. Easy to set-up – can use used anywhere inside or outside. Work each arm individually – four independent rollers. Ready to go – easy to wheel on and off and start exercising. Complete trainer – but it does not record speed or distance. Complete trainer – plus speed / distance sensor. The smart trainer is bluetooth enabled and connect to our app – it displays your speed and distance! Also records your workouts which you can save and see how you progress and improve over time. Complete trainer – plus speed / distance sensor – plus heart rate monitor – plus phone stand. This complete package includes everything – you can record speed, distance, heart rate, calories burnt and easily display your phone to tablet next to the trainer on the stand. How does the trainer work? 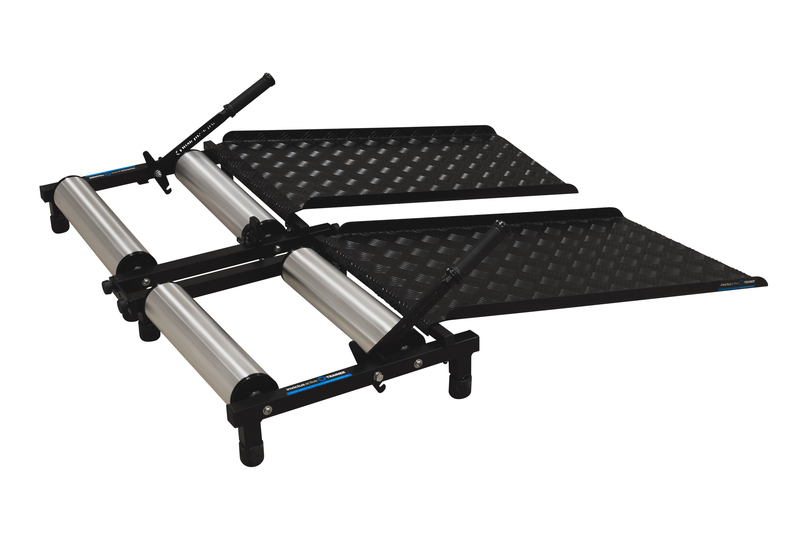 To use the Invictus Active Trainer you wheel backwards up the ramp and onto the rollers, with your wheels fitting between each roller. You can then secure yourself using the strap provided and ‘push’ your chair as you would normally. What does it feel like to push? The trainer is designed to simulate road-like pushing, it is not ‘hard’ to push with a lot of resistance and at first may feel like it is too easy. Resistance is built up in the rollers as you push and maintaining a constant speed is the key to getting the most out of your trainer – a stop/start push will not provide any resistance but nor will it get the heart rate going! The first challenge is to push for 5 minutes maintaining a speed of 3 mph – unless you are in the GB Paralympics team this may feel like a workout! What wheelchairs are suitable for the trainer? Most manual wheelchairs users could use the trainer unless there medical condition prevented them from doing so. Having a camber (angle of the back wheels) between 1 degree and 3 degrees will give the best roll and optimum performance. What is the trainer for? 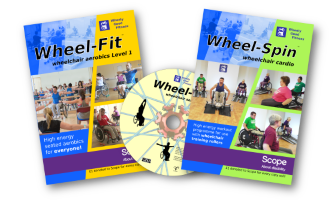 All wheelchair users who want to improve fitness, balance and pushing technique. Users of the Invictus Active Trainer vary from someone who has only been using a wheelchair for a short period of time, someone who is looking to loose weight (burn up to 35o kcal in 30 minutes!) through to GB Athletes who are looking to improve speed and fitness that will be transferred to their sport and give them a competitive edge. Who designed the trainer? What’s the background? The Invictus Active Trainer has been invented by Paul Cooksey and Scott Smith, both full time wheelchair users and was once some rollers and wooden ramps in a garage! 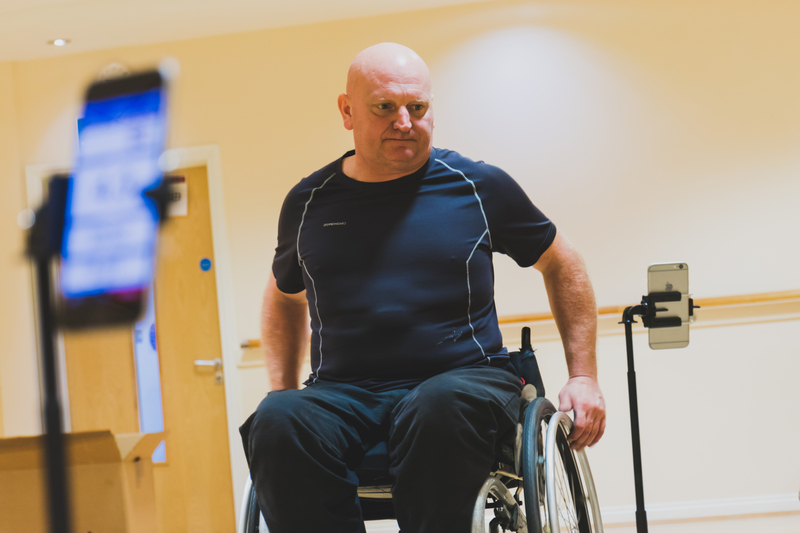 After 12 months recovering from an RTA and Spinal Cord Injury in 2006 Paul knew he needed to get more active and lose some weight, in fact his first goal was to be able to push his wheelchair independently more than 10 metres. Seeking ways to get more active Paul started to play wheelchair tennis where he met Scott, who too has a Spinal Cord Injury following a tumour in the spine at the age of 9. Paul was starting to get fitter and quicker – and it clearly wasn’t his tennis skills! – what he had created was this concept of being able to push (wheel) your own wheelchair just like you would along a road, but stationary in his garage! After showing Scott, who has played wheelchair sport for 15 years, he too could see the potential of what this could bring to a new wheelchair user being able to improve strength so they can push up a ramp into a shop – through to a top athlete being able improve their fitness and give them a competitive edge in their sport.